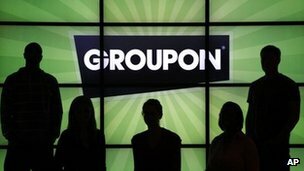 Voucher company Groupon has been given three months to improve the way it operates by a UK regulator. An investigation by the Office of Fair Trading (OFT) found "widespread" examples of breaches of consumer protection rules. The OFT has specific concerns over "pricing, advertising, refunds, unfair terms, and the diligence of its interactions with merchants". Groupon has agreed to change to ensure honesty with customers. Groupon, which is the trading name of MyCityDeal Ltd, negotiates discounts with businesses. It then sends an email to its customers outlining the various deals on offer each day. If enough of these people sign up to the offer, they can then present a voucher to the trader and benefit from the advertised discount. However, concerns have been raised in the UK about the exaggeration of some of the discounts on offer and a time limit to take up services. In one case, the Advertising Standards Authority said it had found that there was no evidence that advertised deals were available. This included deals claiming that consumers could buy a bouquet of flowers for £8 and that they could take advantage of an "all you can eat in London for £3" offer. Groupon has agreed to make sure that prices in its adverts are accurate and honest and that any limitations on availability are made clear. The OFT warned Groupon that it would monitor complaints closely and that any breach of the undertakings could lead to court enforcement orders. "Collective buying and discount schemes can offer real benefits for both consumers and merchants," said Cavendish Elithorn, from the OFT. "The market is growing rapidly, but it is important that consumers benefit from consumer protection law as well as from the discounted offers. "Groupon has cooperated fully with our investigation and is making changes to its business practices to address our concerns. We will be monitoring the situation closely to ensure that consumers benefit from these improvements." Groupon customer Sarah Luty, a 31-year-old from Luton, said she had become much more selective on which deals to buy after finding it difficult to redeem one voucher. "I bought a spa day from Groupon which included a massage, glass of bubbly and full use of the facilities," she said. "When I bought it, they had sold so many I had to book a midweek slot five months later, as that was all that was available. Meanwhile in those five months, Groupon continued to sell spa days to the same place." Another customer - Karen Bellerby - told the BBC News website that Groupon had some good deals, but it was important for customers not to blindly accept everything was cheap. The charity worker from Colchester said that one of the best deals she had bought was having her hair done for £29, but the electronic goods were often no cheaper than elsewhere, and there were some restrictions on travel deals. "Sometimes you might get a similar deal by going direct. It is like any shopping on the internet - you should shop around," she said. Roy Blanga, Groupon's UK managing director, said: "As a young and innovative business, Groupon acknowledges that our processes and procedures have not always kept pace with our rapid growth. "We have independently made many improvements since early 2011 and have worked transparently and constructively with the OFT to identify areas that require further changes. We take their concerns very seriously and will be willingly implementing the recommended changes." In February, its first set of results since listing on Nasdaq stock exchange in November, Groupon reported a net loss of $42.7m (£27.0m).